Yesterday marked 76 years since the article in the Daily Mail where Lord Rothermere, the editor at the time, declared “Hurrah for the Blackshirts”, that being the front-page headline. The article praised Oswald Moseley and the British Union of Fascists for their “…commonsense conservative doctrine”. Rothermere was also a friend of Mussolini and Hitler, praising the latter as “Adolf the Great” and hoped he would become a popular figure in Britain. 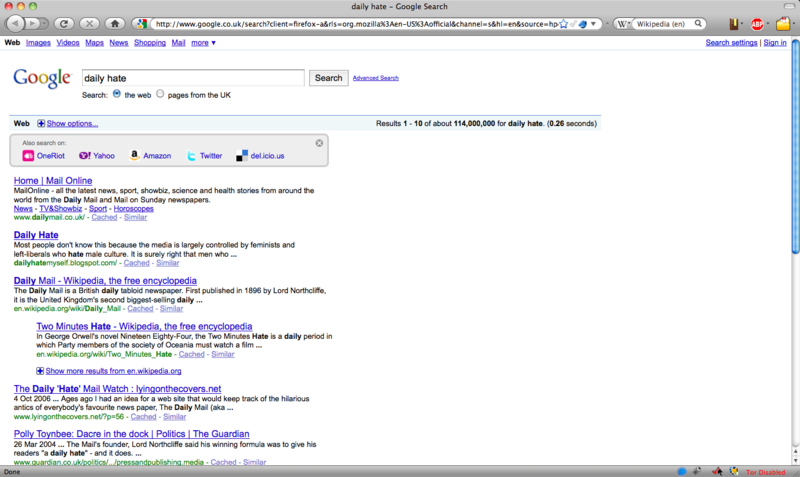 Rather amusingly somone set up hurrahfortheblackshirts.co.uk that auto-forwards to the Daily Mail’s website. Unfortunately after the threat of legal action from the afore mentioned rag it has been stopped.